Any visit to Angkor must start at the Angkor Wat . 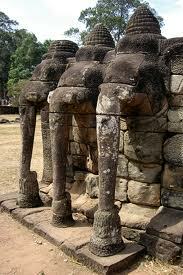 Angkor Thom, the ancient capital, is worth wandering through. Any visit to Angkor must start at the Angkor Wat – if only to beat the crowds that throng this site daily. Built as a tribute to Vishnu, it’s reminiscent of the temples you find all across South India, although a whole lot larger. You could spend a day wondering about its corridors and not see all the intricate, incredibly well-preserved carving that lines the walls: look for the telling of the Mahabharata and Ramayana, done in bas-relief, and try and identify the characters in their Cambodian avatars. Do push yourself and climb up the steep central tower for the gorgeous views of the surrounding plains. The temple trail doesn’t end there. Angkor Thom, the ancient capital, is worth wandering through, with the serene bayon temple and the magnificent Elephants’ Terrace. Stand on the platform where the royal seat once was, and look across to the delicately detailed towers, picturing in your mind’s eye acrobats cavorting and tumbling across from one to the other as crowds cheer on behind you. It’ll get you doing some cavorting of your own in the vine-draped temples that lie outside Angkor. The most popular of these is Ta Prohm, made famous by Angelina Jolie playing a tomb raider slinking through it. 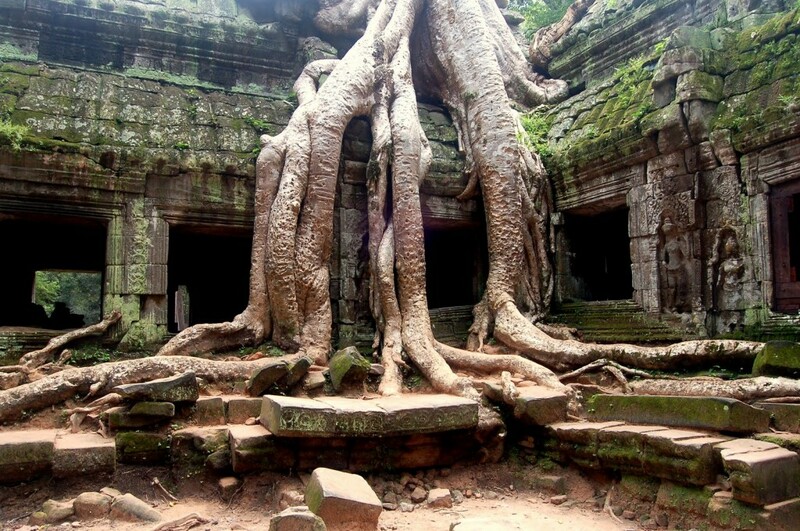 With its eerie, overgrown appearance, it’s easy to see why the temple made it into the movie, though there are rather too many people around to make it seem like a real adventure. 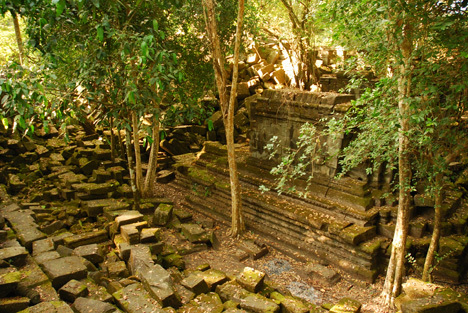 That’s something you will find at Beng Mealea, another ruined temple about 70km out of Siem Reap. This one has been all but reclaimed by the forest, and because it isn’t as frequented as the other sites in this area, has an aura of offering something new. It’s quite the cultural overload, though, and by the day’s end, it will be a relief to dive into the bohemia that a thriving tourist trade has brought to Siem Reap. As the city closest to Angkor, Siem Reap runs pretty much wholly on its visiting population, and is full of attractions suited to all sorts of tastes. The Old Market area comes into its own at night, peddling knick-knacks to visitors, tempting hungry tummies with freshly-cooked food sold and eaten on street corners and a range of pubs and bars blaring music out. Pub Street here feels like a giant frat party, except everyone – local and visitor – is invited.